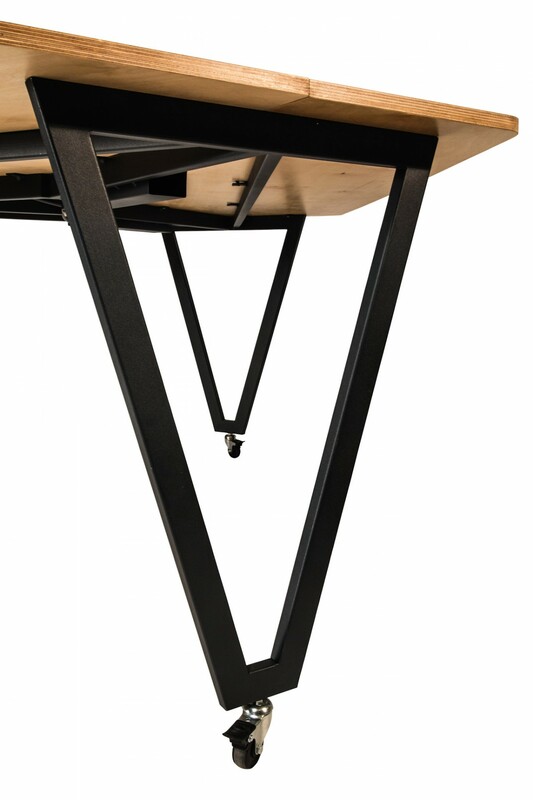 The Triangle Table is perfect for the trios. 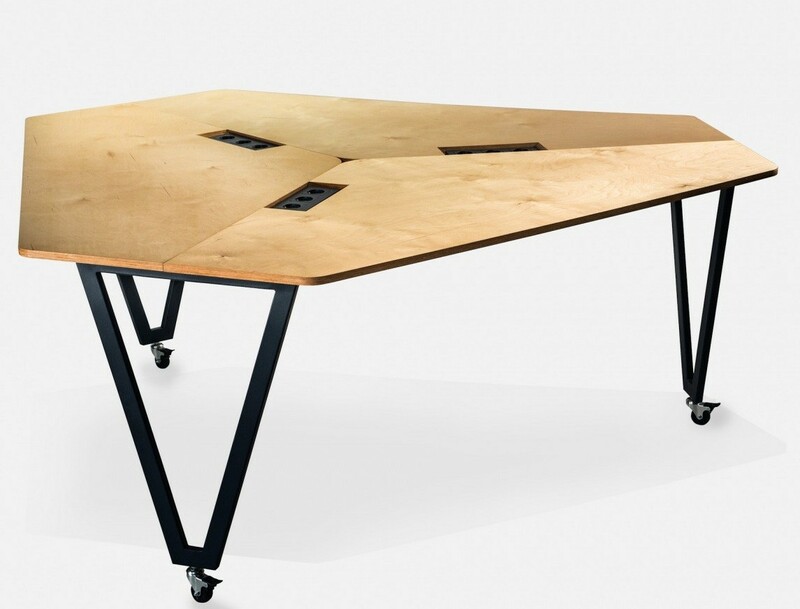 The table top is divided into three modules, with angled cuts revealing the plywood texture. 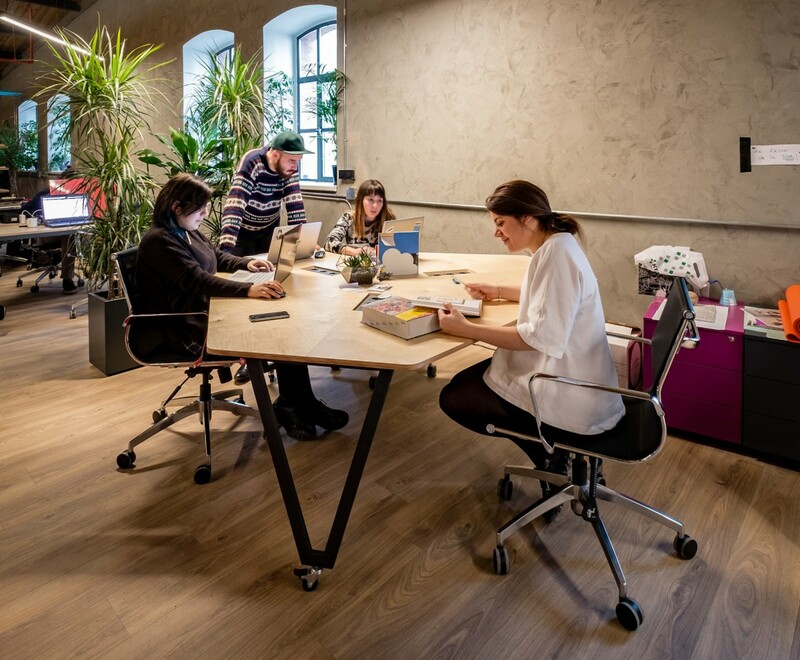 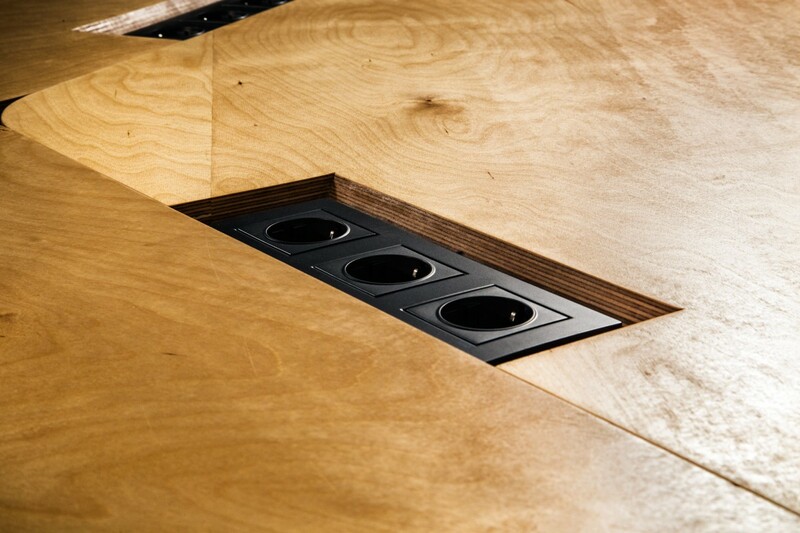 Power outlets add functionality, whereas trapezoidal metal legs add character.